As part of a review of the SkillsFuture Credit scheme before providing the next tranche of credits, the Government is examining how well utilised the scheme is. 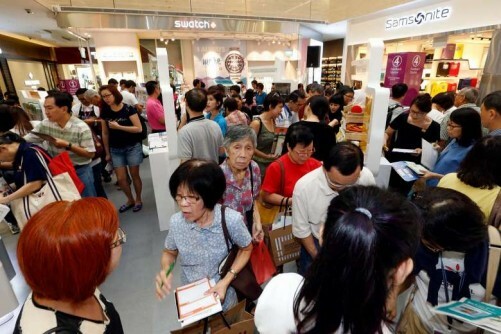 It is also looking at the types of training Singaporeans are using the existing $500 credit for, their training participation rate and the Government's fiscal position, said Parliamentary Secretary for Education Low Yen Ling yesterday. Ms Low did not specify when the next tranche of credits will be doled out when responding to Ms Sun Xueling (Pasir Ris-Punggol GRC), who asked for details on the scheme. More than 126,000 Singaporeans, or 5 per cent of those eligible, used their credits in the first year of the initiative, which was launched in January last year. Noting that some of the eight most popular courses seem to be more hobby-related such as photography, Korean language and baking, Ms Sun asked if more can be done to ensure the courses lead to tangible economic benefits for people and society. She added that the SkillsFuture credit covers a much wider range of courses, as it is also meant to raise awareness of the importance of continual learning and skills mastery. Thus, even if Singaporeans opt for courses not directly related to their current careers, the aim is to encourage them to take ownership of their lifelong learning, she said. Separately, Minister for the Environment and Water Resources Masagos Zulkifli told Nominated MP Randolph Tan that hawker stallholders can find out about relevant training courses at a one-stop information and service centre that will be set up in the second half of this year. * This article first appeared in The Straits Times on April 04, 2017, with the headline 'Govt reviewing 4 areas for SkillsFuture Credit'.